HGM9580 Bus Tie Bus Parallel Unit is designed for manual/auto parallel system which composed by multi-way bus and multi-way bus. It allows automatic parallel running function. 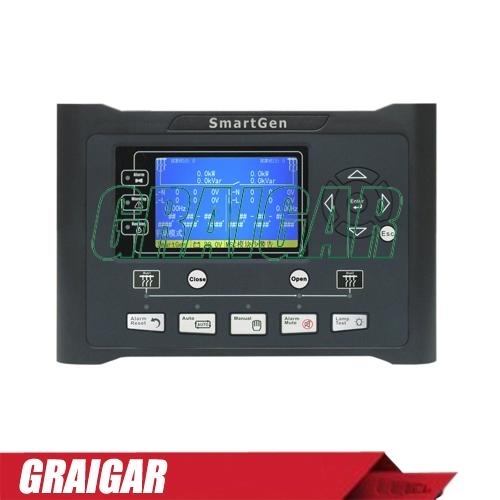 It fit with LCD display, graphic display, optional Chinese, English and other languages interface, and it is reliable and easy to use. HGM9580 Bus Tie Bus Parallel Unit controls a bus breaker which can control the controller to synchronize the two ways buses via MSC CAN if the synchronization requirements have satisfied. The powerful 32-bit Microprocessor contained within the unit allows for precision parameters measuring, fixed value adjustment, time setting and set value adjusting and etc..Majority parameters can be configured from front panel, and all parameters can be configured by USB interface (or RS485) to adjust via PC. It can be widely used in all types of automatic genset parallel system with compact structure, simple connections and high reliability. ♦Event log, real-time clock function.